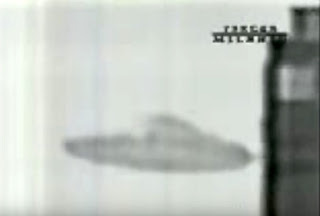 This is a still image from one home video of a UFO OVNI over Mexico City on August 6, 1997. This is known as the Las Lomas' UFO video. While many claimed to have seen the craft that day, some experts say it may have been a hoax. Exactly one week later, the famous Phoenix Lights event occurred. This case is sometimes called The Phoenix Incident, although the lights were seen as far away as Sonora, Mexico and Nevada. Were there one or more physical crafts flying around Mexico City and Phoenix, Arizona during the week of August 6 to August 13, 1997? If so, were they manmade? And, if not, where did these unexplained aerial phenomena (UFO) come from -- and where have these OVNI gone?